A car makes its way up Forest Avenue in the snow, Dec. 17, 2018. 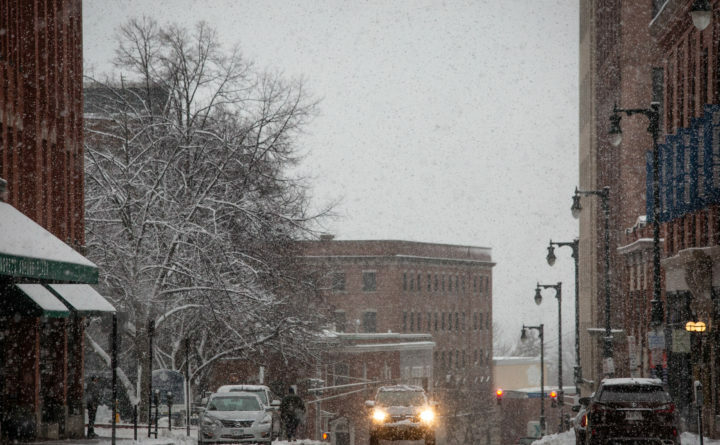 A morning snowstorm created a messy commute in Maine and New Hampshire. Greater Bangor and the coastline are expected to get between 3 and 5 inches of snow, according to the National Weather Service station in Caribou. Snowfall is predicted to accumulate between 2 and 4 inches from midcoast and southern Maine, including Portland, according to the weather service station in Gray. The storm, which started early in the morning, was forecast to be over by the afternoon, according to the National Weather Service. The bulk of the snow was expected to fall during the morning commute.